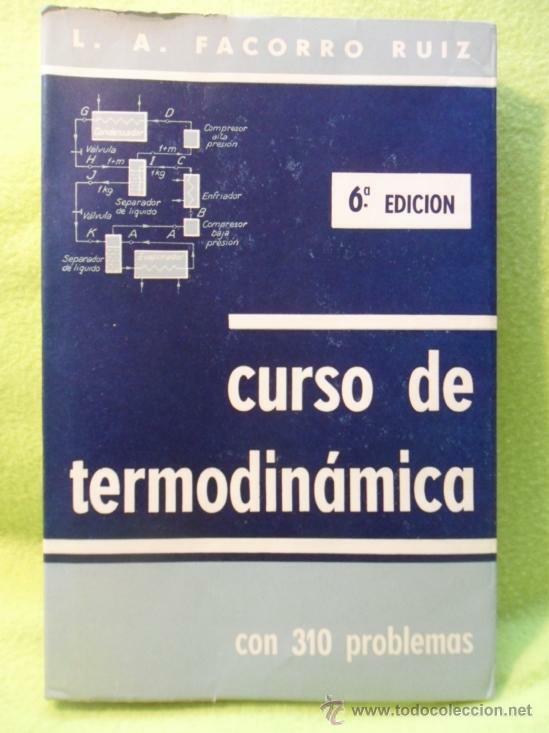 Buy CURSO DE TERMODINAMICA on ✓ FREE SHIPPING on qualified orders. 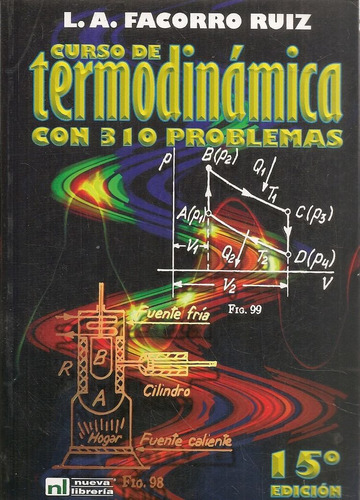 Curso de termodinámica con problemas: obra ampliada para uso del estudiante universitario de ciencias y de ingeniería, del Lorenzo A. Facorro Ruiz. Front Cover. Lorenzo A. Facorro Ruiz. Melior, – 14 pages Bibliographic information. QR code for Curso de termodinámica con problemas. Complexes with transition metal-carbon bonds. Advances in detailed reaction mechanisms. Orbital interaction theory of organic chemistry. The chemical thermodynamics of organic compounds. Purification of laboratory chemicals. El comando “Guardar” de Word sobre facoero documento previamente guardado, se utiliza para: National Aeronautics and Space Administration: Experiments in general chemistry. Longman Scientific and Technical. Amino acids, peptides and proteins. The manipulation of air-sensitive compounds. Compilation of EPA’s sampling and analysis methods. Measurement challenges in atmospheric chemistry. Handbook of computational chemistry. Solvents and solvent effects in organic chemistry. 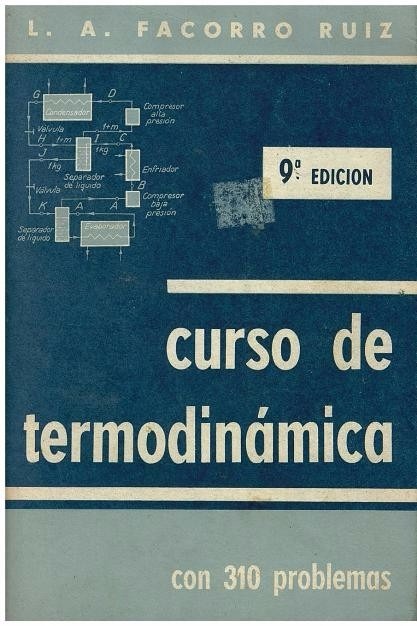 Termodibamica de la Universidad Nacional de la Plata. Seymour ed Schurr, J. Organic chemicals in the aquatic environment: Microscale and selected macroscale experiments for general and advanced general chemistry: Chemical bonding in solids. Concepts and models of inorganic chemistry. Spectra of atoms and molecules. Comportamento eletronico e magnetico dos materiais. Atkins, Peter William Langford, C. James Crouch, Stanley R.
Information 29 pages Find more like this. The foundations of chemical kinetics. Vibration-rotational spectroscopy and molecular dynamics: Thermodynamics of natural systems. Royal Society of Chemistry. Brown, Theodore Lawrence Quality in the analytical chemistry laboratory. Differential equations and dynamical systems. Zz Plantes Medicinal Es. Structure determination by X-ray crystallography. Electrochemical methods fundamentals and applications. The chemist’s ready reference handbook. A laboratory manual for the first course in Quality assurance in analytical chemistry.